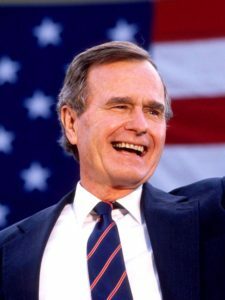 According to a soul intunement via Nada-Yolanda, President George H. W. Bush worked on the Second Ray of Understanding and Wisdom. The following are three dreams I had of President Bush the elder, never before published. One dream occurred just before he was elected president in 1988, one in 1989 during his presidency, and one in 2012. He questioned me further as to what exactly I meant. I then spoke to him of the difference between spirituality, with its understanding of the higher Self and metaphysics, and religiosity, with its emphasis on dogma, doctrine and orthodox interpretation. All the while, he listened intently to what I was saying. NOTE: I had met Bush in 1970 at a Texas Young Republican Convention in Dallas, when he was running for the U.S. Senate and I was a senior in high school. 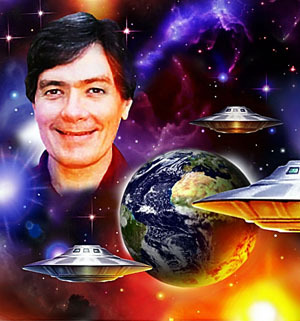 Perhaps it is through these lines of force that I was able to contact him astrally in this dream and convey some understanding of spirituality. November 13, 1989. DREAM. I was in a stadium where tens of thousands of people had gathered for a meeting led by President George Bush. The President’s purpose was to determine who was dedicated to the Second Coming. He began to ask questions of the crowd which were designed to present challenges and temptations to the minds of those who were not devoted uppermost to sacrificing all for the Second Coming. In effect, he was weeding out those who were not fully dedicated. At each question, scores of people voluntarily left because their self-honesty would not allow them to say they placed a higher priority on the Second Coming than on whatever mortal desire Bush delineated. The questioning process continued, in which even two others of the Mark-Age staff who were present left. At the end, only I remained, standing there alone with President Bush. I knew that the only thing that would cause me to not be present would be if it were Spirit’s will that I be serving elsewhere during Sananda’s return. Later, I sat in the living room of I Am Nation headquarters with members of the Bush family, including Laura, Jeb, perhaps Neil and Barbara, and others. I explained to them that I had received a channeling from George the elder, intending to lay a groundwork of metaphysical understanding before I would read the message to them out loud. In my introduction, I mentioned that I personally had met both George H. W. and George W. years ago (which is literally true). Most of my comments were directed toward Laura, who seemed to be the linchpin of the family. I also spoke to Jeb. Neither George, senior or junior, was present. Interpretation: This dream appears to carry an astral vibration, working with the soul consciousness of the Bush family group. The message comes from George the elder, the family patriarch, via automatic writing. Given his age, perhaps it signifies he is transferring to the astral before long, although reportedly his health is good. Maybe this family group represents one of the “test cases” for the introduction of “interplanetary soul elements,” as Rebekah recently channeled. The dream indicates that Laura Bush, George W.’s wife, is a central focus. She also would symbolize the subconscious or soul aspect. Very interesting posting, Phillel, in line with actual events and a reminder of civility and spiritual-government interactions in the midst of trying times. I found your dreams compelling and reminded myself that Texas is also your birth state. President Bush’s life summary, service and experience are commendable. Thank you for sharing. Blessings to you and all.